On July 12, 2007, the ribbon was cut and we opened our doors to the public. Operated by the Women of the White Stone United Methodist Church, the Thrift Shop has a long history in White Stone. Originally opened in 1963, it was moved several times before reaching it’s present location on Methodist Church Road. 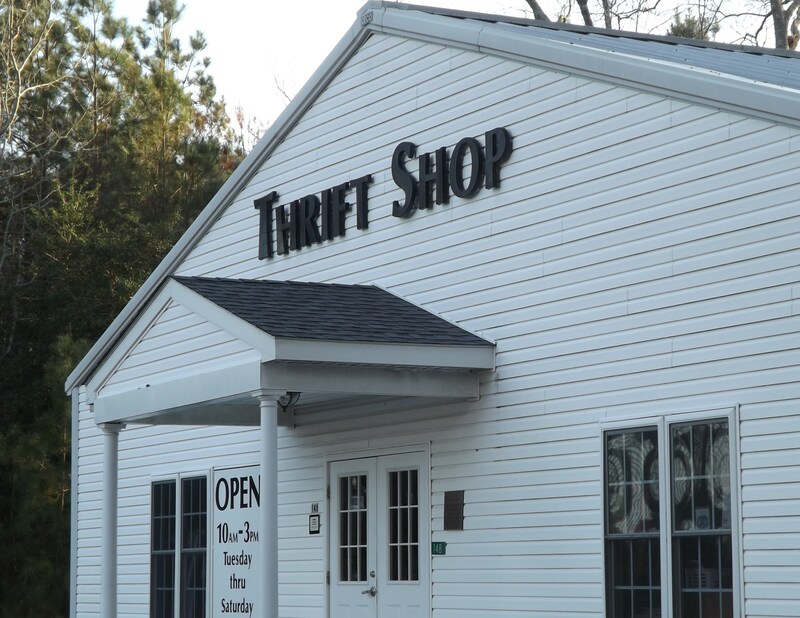 Today the Thrift Shop is a vital part of the community, offering good and serviceable used clothing for all ages, household articles and appliances, books, VCR tapes, old phonograph records, video tapes and many other interesting items. The profits from the Thrift Shop do not go back to the Church, but are used to help with Mission work in our local area and surrounding communities. In addition, four scholarships are given each year to students graduating from Lancaster High School. Help is given to local college students who need financial assistance for purchasing books, and contributions are made to various state, national and international agencies. Receipts have averaged from $25,000 to $30,000 per year for the last eight years. Maxine Somervell, Volunteer Chairman, emphasizes how much donations, both in goods and monetarily, are appreciated and how helpful they are in enabling the church to do this important Mission work. Our previous Volunteer Chair, Harriet Adams passed away in April 2016. Her many talents will be greatly missed and remembered. Stop by the Thrift Shop and see what is available. You just might find a book you have wanted to read, a scarf which just matches your new outfit, or some other useful item at a reasonable price. We are always looking for volunteers to staff our Thrift Shop. Volunteer hours are 10 a.m.-1:00 p.m. or 1:00 to 4:00 p.m. Please stop by the Thrift Shop or give us a call if you have a few hours to spare and would like to help us help our community and other mission projects.